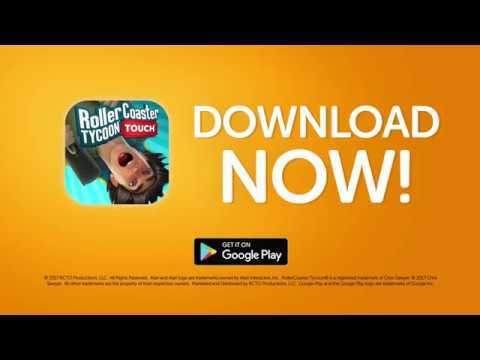 Create, customize and run your own amusement park in RollerCoaster Tycoon® Touch ™. + Park Attractions: Personalize the park of your dreams and delight your guests by choosing from over 250 attractions, park decorations, paths, restaurants, shops and more. All attractions are beautifully rendered and animated in 3D! + Roller Coaster Editor: Easily build crazy personalized roller coasters. Customize trains, stations and rails by drawing with your finger. Or use plans to directly place beautiful predefined roller coaster models. + Personalization: Use the powerful park editor to revamp your park as you wish. Create themed sections using paths, palisades and decorations. You have the choice between 30 different colors to change the color of your attractions!